What type of Tel Aviv hotels are you looking for? 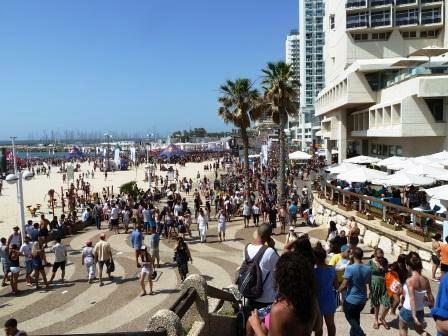 To suit its 3 million visitors a year, Tel Aviv offers a huge variety of accomodations. You can even choose a romantic Tel Aviv boat hotel! 1. Breakfast Buffets. Israeli hotels are well known for their amazing breakfast buffets. These are normally included in the price of the room, but not always. So make sure to check this point when you compare prices. They are a great value. 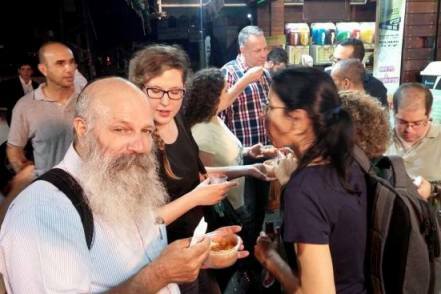 Dining out in Tel Aviv is delicious, but even a cup of coffee is not cheap here. 2. Wifi Access. If you need to stay connected, make sure to confirm if WiFi access is available in guest rooms. A few hotels offer it free of charge in every room, but many charge extra for wifi access from your room, often a bundle. Don't forget to check beforehand. 3. Shop Around. Room rates vary considerably, even for the same hotel room, depending on where you book the hotel and the time of year. Shop around. Explore the hotel box to your left to compare and try to find the best rates. 4. Room with a View. All Tel Aviv hotels on the beach offer rooms with phenomenal sea views. So if you're booking a hotel on the beach, ask specifically for a room with a beach-side view. 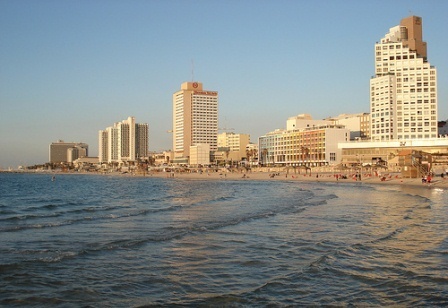 The larger and traditional luxury hotels in Tel Aviv are usually beach hotels. They offer swimming pools, beautiful lobbies, a choice of restaurants, pampering health spas and gyms, and if you come with your family, most have kids clubs during holidays and the summer. Off season the prices might start at about $250 a night, but most of the year, they cost more than that. Family suites can even reach $800-$1000 per night. Again, it depends on which hotel, what room, how many people and what time of year. The bright and luxurious David Intercontinental Hotel in the south of Tel Aviv is one of the newest 5 star hotels and part of the well known deluxe Intercontinental hotel chain. The luxurious Dan Tel Aviv Hotel in the center of the city. 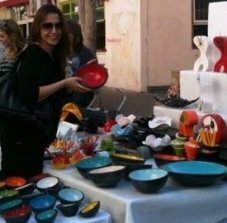 The Dan Panorama Tel Aviv hotel further south, close to Jaffa and within walking distance of the Neve Tzedek neighborhood and the colorful street markets. 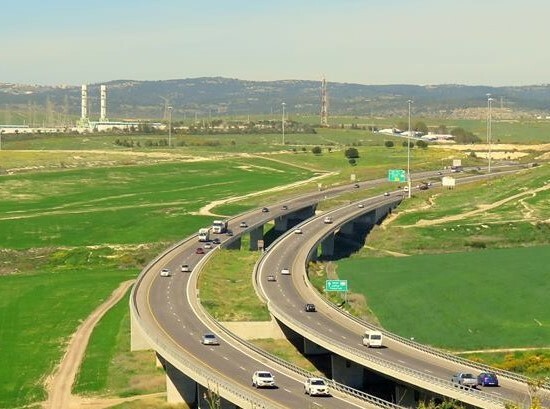 The Dan Accadia in nearby Herzliya, a 20 minute drive from midtown Tel Aviv. It's a great hotel with a superb restaurant on the beach. 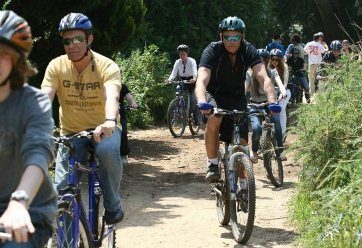 Some people prefer the relative peace and quiet of Herzliya beaches to the hustle and bustle of Tel Aviv. 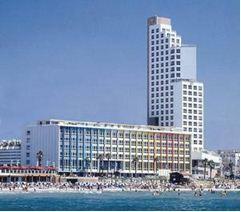 The Hilton Tel Aviv is a classic deluxe hotel right on the beach. In early 2012 they renovated the top 10 floors, lobby and pool area. 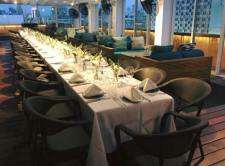 The Carlton Hotel in Tel Aviv was recently renovated and friends have stayed there and loved it. 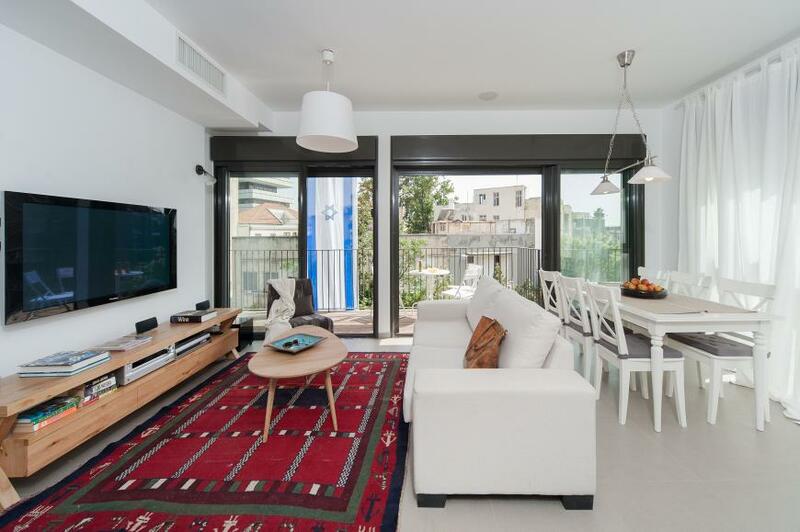 The location is convenient, right near the charming Tel Aviv Marina. 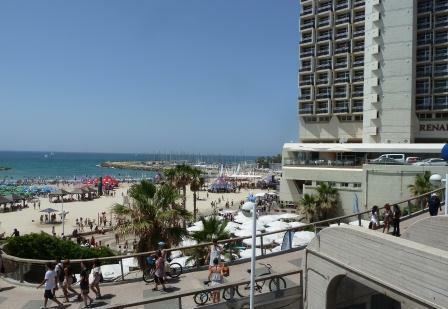 There are four deluxe hotels along beautiful Gordon Beach near the Tel Aviv Marina. TIP: These are all 5 star hotels, but since some of the buildings are older, they have all undergone or are undergoing renovations. To avoid rooms that can be a bit worn, make sure to request a renovated room. 1. The Crowne Plaza Tel Aviv. 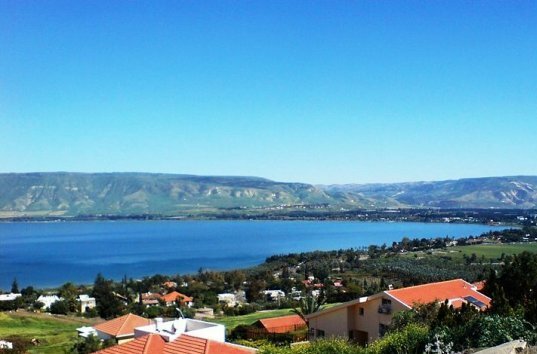 After I moved to Israel, my parents came to visit often and usually stayed here. So I've stayed here often - it is a nice hotel! Don't confuse this beachfront Crowne Plaza Hotel with the Crown Plaza Tel Aviv City Center situated in the Azrieli skyscraper. That is a convenient location if you're doing business with companies nearby. 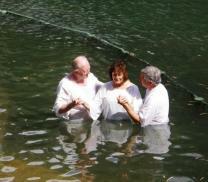 It is just a 10 minute shuttle or taxi ride to the beach. 2. There is the popular 5 star Sheraton Hotel. The newly renovated rooms are nice and you will enjoy the espresso machine in every room - what a treat! 3. Herod's Hotel - this is one of the four Tel Aviv hotels part of the Leonardo Hotel Chain. Each one is in a different part of the city and caters to a different clientele. 4. Also popular is the Renaissance Tel Aviv Hotel – Tel Aviv's local Marriott Classic. You may prefer to stay in one of Tel Aviv's boutique hotels, which offer you a luxurious stay in a more intimate, personalized atmosphere than the larger traditional hotels. One notch down from the deluxe and 5 star Tel Aviv hotels are many 3 and 4 star hotels. The prices for these hotels range from about $130 - $400, depending on the season and the hotel. The Grand Beach Hotel is a good 4 star option, recently renovated, is one block away from the beach and just south of the fun Tel Aviv Port. The Marina Hotel, was getting a bid dowdy, but most of the rooms were redone recently by Israeli designer Nili Stav. Very nice. Make sure to ask for a renovated room only. The roof top pool area is small but nice. A perfect place to have drinks while watching the sunset. Further south is the Metropolitan Hotel Tel Aviv, a pretty good 4 star hotel option one block from the beach, especially if you are looking for reasonably priced apartment suites. 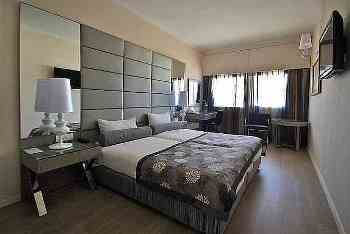 There are also some excellent, smaller 3-4 star boutique hotels I recommend. One of the best 4 star boutique hotels, offering great service is the Melody Hotel Tel Aviv, in a perfect location near the beach and Independence Park near the Hilton. I recommend it highly! From the same Atlas chain, a few minutes further north along the seaside is the top-rated Tal Hotel Tel Aviv, a cozy, 4 star boutique hotel with a great rooftop terrace and happy hour. Another one of my favorites is the City Hotel in Tel Aviv is a cozy place on a quiet, residential street, a 5 minute walk to Frishman beach. I've sent friends there who want to be able to walk easily to the beach and feel like Tel Aviv natives. The Center Hotel in Tel Aviv is a midrange boutique hotel in a historic Bauhaus building near Dizengoff Square, located in a great shopping and residential area. This is a good place to stay if you want to get a feel for the real Tel Aviv, and it's a 15 minute walk to the beach. It's very cozy with a living room-like lobby and cool rooftop. Here's a photo shot from the roof taken by Wayne Steinberg. 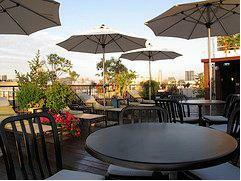 You may be suprised to learn that it is possible to find good value and clean budget lodging in Tel Aviv. Read more about our top picks of Cheap Tel Aviv Hotels. One of the better cheap hotels in Tel Aviv, somewhere in between a budget hotel and an upscale hostel is the clean and decent Gordon Inn, not far from the beaches. Lots of people prefer staying at hostels, for the price or for the great social atmosphere. You may be surprised to learn that hostels have, in addition to dorm rooms, private rooms as well. 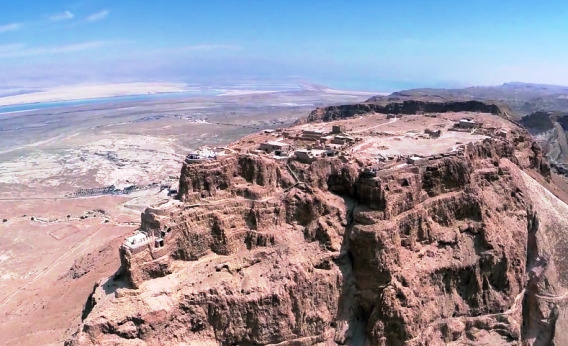 Read more on our Recommended Tel Aviv Hostels. Renting a vacation apartment is a great option if you're planning to stay for longer than 2-3 days. 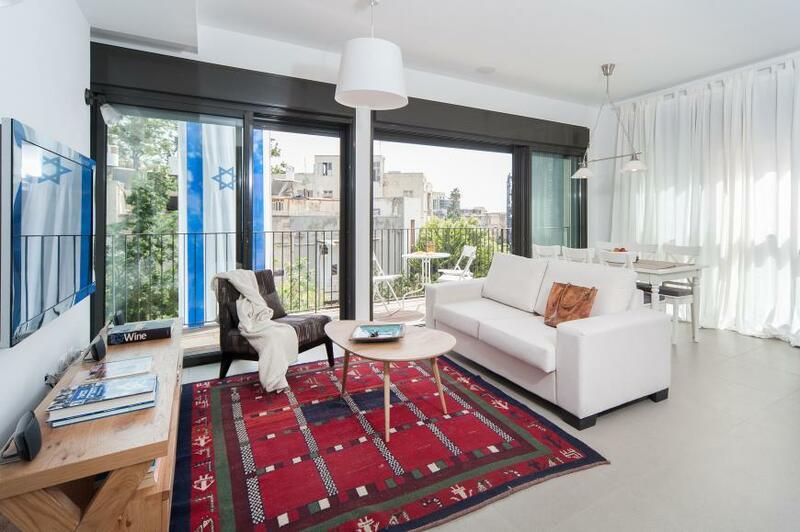 Friends and family who visit Israel sometimes prefer to rent furnished apartments in Tel Aviv for weeks to months at a time. Read more about vacation rental advantages and options . If you're interested in a vacation apartment booking inquiry, fill in this short form.